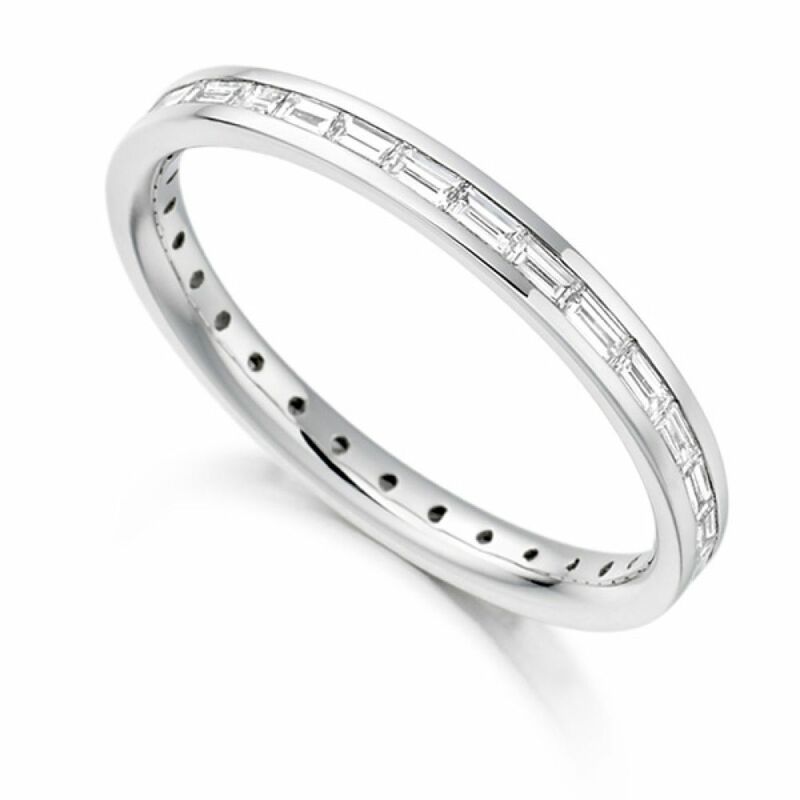 A fully set eternity ring with stunning baguette cut diamonds running lengthways along the precision cut channel. 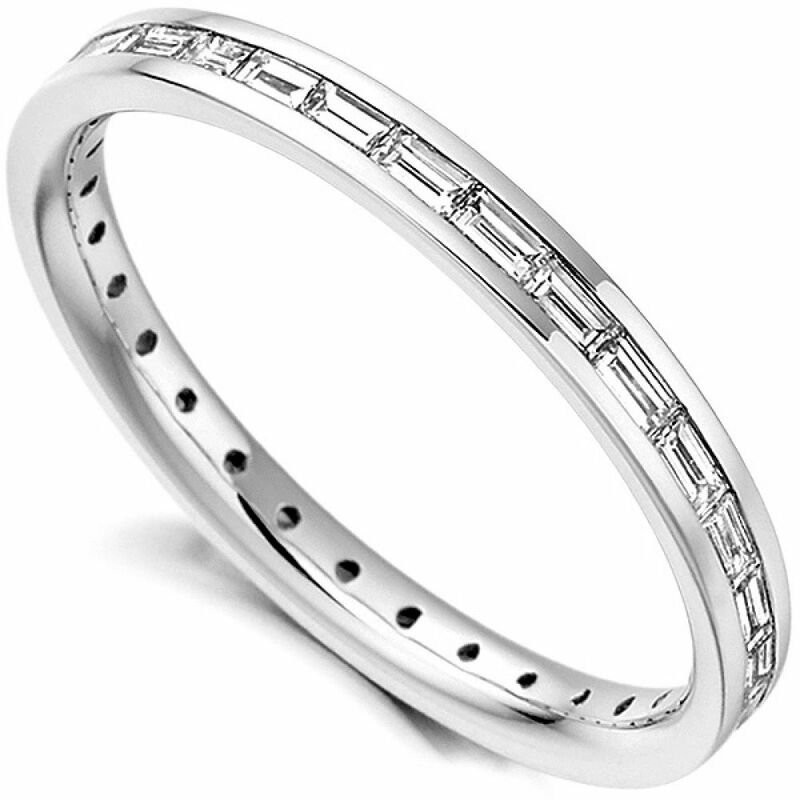 This fully set Diamond band features Baguette cut Diamonds that are set lengthways across the band to accomplish the full effect of Baguette cut Diamonds. The ring has a court profile and is 2.5mm in width, this allows the Baguettes to be shown fully in the setting. The Baguette Diamonds have been matched by our experts to ensure the design fully benefits from the stones. The band holds 0.60ct Baguette cut Diamonds in total. The stones as F/G Colour and VS Clarity. It can be delivered to you in a range of different finishes including: 18ct Yellow Gold, 18ct White Gold, 18ct Rose Gold, 950 Platinum and 950 Palladium. Please allow us approximately 3 weeks to craft your ring for you, and it will be delivered straight to your door by a secure courier, presented in our beautiful Serendipity Diamonds packaging.